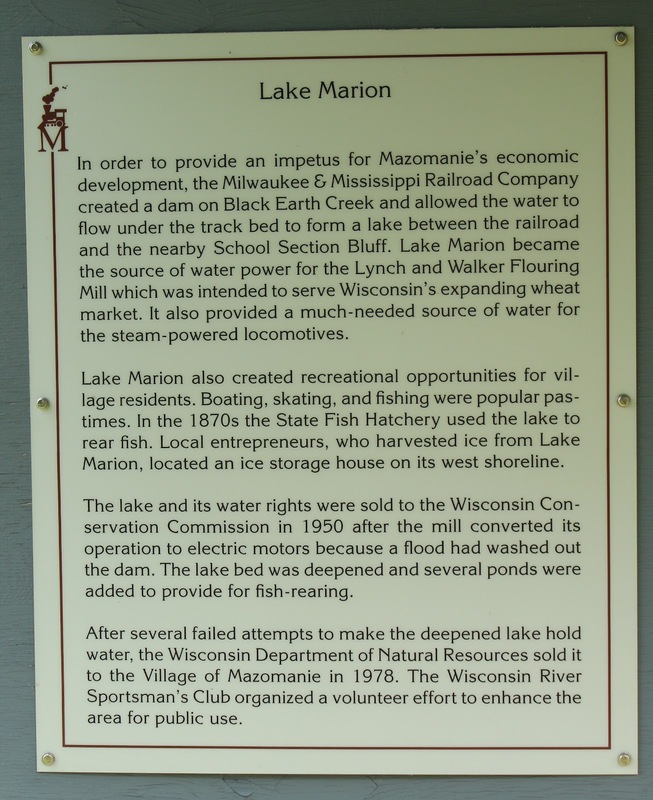 In order to provide an impetus for Mazomanie's economic development, the Milwaukee & Mississippi Railroad Company created a dam on Black Earth Creek and allowed the water to flow under the track bed to form a lake between the railroad and the nearby School Section Bluff. Lake Marion became the source of water power for the Lynch and Walker Flouring Mill which was intended to serve Wisconsin's expanding wheat market. It also provided a much-needed source of water for the steam-powered locomotives. Lake Marion also created recreational opportunities for village residents. Boating, skating, and fishing were popular pastimes. In the 1870s the State Fish Hatchery used the lake to rear fish. Local entrepreneurs, who harvested ice from Lake Marion, located an ice storage house on its west shoreline. 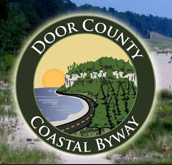 The lake and its water rights were sold to the Wisconsin Conservation Commission in 1950 after the mill converted its operation to electric motors because a flood had washed out the dam. The lake bed was deepened and several ponds were added to provide for fish-rearing. 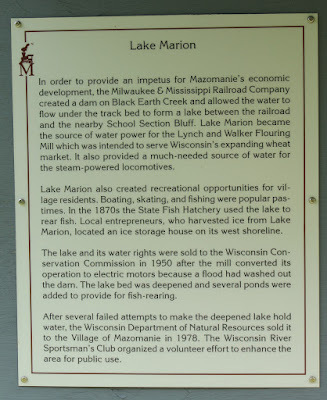 After several failed attempts to make the deepened lake hold water, the Wisconsin Department of Natural Resources sold it to the Village of Mazomanie in 1978. The Wisconsin River Sportsman's Club organized a volunteer effort to enhance the area for public use. 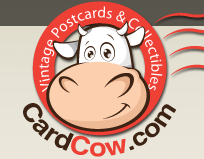 The marker is located at the entrance to The Old Feed Mill, and is accessible from southbound Cramer Street, south of its intersection with Crescent Street, at or near 114 Cramer Street, Mazomanie, Wisconsin 53560. The marker is on the left. The marker is located at The Old Feed Mill. The marker is located in Mazomanie, Wisconsin.